Each single property website has local neighborhood information, local school data, a fantastic slideshow, mortgage calculators, options to add music, and more! 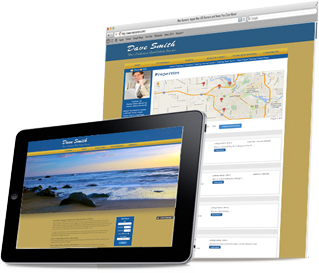 Best of all, creating a single property website takes less than three clicks away. Being a member of Intagent allows you to create unlimited single property websites. These websites are excellent ways to market your own listings individually. Do you have printed flyers or information going out about a new listing? If so, adding a single property site is a perfect match for any brochure! Single property sites help in creating buzz about your business on the web. When viewers see your property online, it drives them to check out more of your listings. The real estate information you put on that website makes it relevant to link your audience back to your main site without a trick. Intagent gives all existing clients the ability to achieve what these websites are meant to do. This is an excellent way to market your own listings individually while linking them back to your main website. And because this is digital, it can be emailed, and so your marketing costs can drastically reduce. Best of all, Single Property Websites are free with every subscription to Intagent! Using Intagent's Single Property Websites is a great asset to my business and best of all, it's completely free of charge!